Having trouble stepping into your tub? Let us convert your existing tub into a walk-in! Keep safe and save $1,000’s vs renovations. Did you know that a third of all Canadian seniors over 65 slip and fall every year, and of that, 80% of falls occur in the bathroom? We can help drastically lower this risk by converting your existing tub to a walk-in! We have several options to fit your budget and needs. 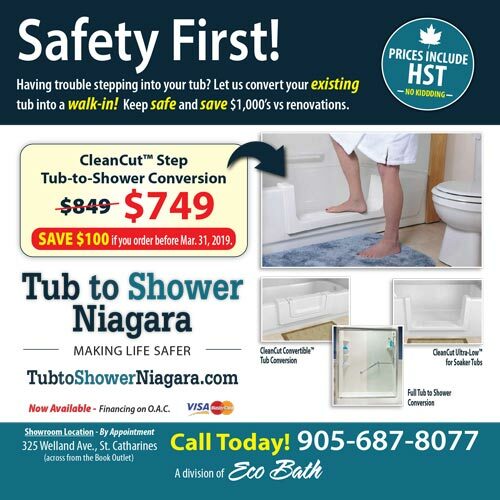 TubToShowerNiagara.com is owned and operated by EcoBath of St. Catharines, ON. We have been remodelling bathrooms and providing safety options for seniors for nearly 10 years. 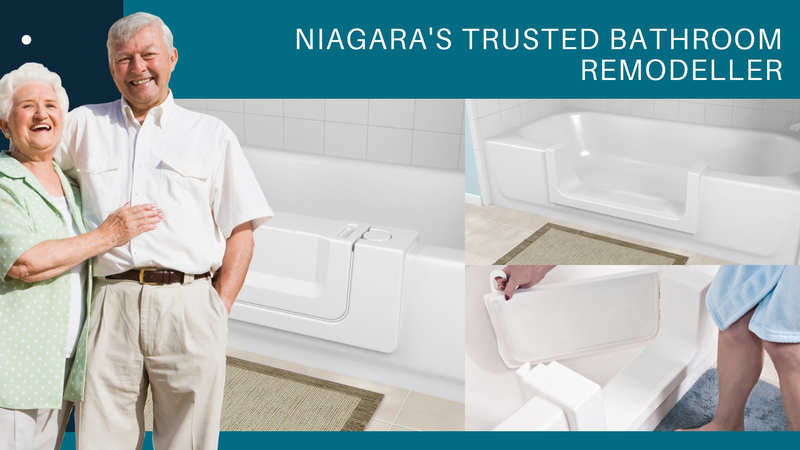 Our reputation for service, quality products and pricing is well respected in the Niagara region. Contact us today to discuss your needs or visit our showroom to learn more.